Hey everybody, I’m back at it with my official 5th build of the year! It’s been quite some time but I wanted things to align perfectly. I’ve collected components from MicroCenter, Amazon, and Newegg and think that this is the best $1,300 computer anybody could possibly build for demolishing games! Please leave comments as to what you think the best $1,300 computer is below! Build process was easy, it’s like extremely fun Lego’s now with a scheme to each and every build. Could have gone with a cheaper case, motherboard, and power supply. So all in all, this could potentially be the best $1,200 budget build. The GTX 1080 is the perfect 1080p card while gaming on a 144hz panel. I find myself lowering some settings down but it’s worth it for that complete 144 refresh rate. Bought the CPU, MOBO, CASE, SSD, HDD from Micro Center. Bought the GPU, PSU, RAM, CPU COOLER from Newegg. Bought the Extensions from Amazon. I’ve bought three different power supplies in my year of building computers and I’ve always been told that SeaSonic is the best. For 64.99 off of Newegg, I thought this was an absolute steal! Please comment and rate this power supply though because I will switch it out if you guys think it’s not good enough. As for the PSU itself, I like it. Fully modular at 65 bucks and fully black sleeved cables. Before this build, I went to Micro Center and picked up an i5-6600k. Although that processor was nice and really stable at 4.4Ghz, I did not feel like I really needed it. I know $1,300 is already a steep spending point but I still wanted to save some cash too. So I figured that I’d just stick with the simple 65W TDP non-K SKU processors. It saves me both the trouble of stability and cooling. Don’t underestimate this little i5-6500 though because it can really pack a punch and hold its own weight in CPU intensive games. (Willing to bet someone will mention Bottlenecking before reading the parts explanation). The Cryorig H7 is beautiful. The worst part about this cooler was the shipping time. Newegg is awesome but man does this item take quite some time to ship. I could have added in a few bucks to rush it but I like to save as much as I can. Before this cooler, I bought an H60 and paired it with dual SP120’s. That thing was loud as heck, I don’t know why. Even while the fans were the “Quiet Edition”; but I ended up returning that $100 combo and resorted back to air coolers. As for both noise and temps, this thing handles the 65W TDP like nothing. I’m even using the suppled paste they gave me. Silent, aesthetically pleasing and cheap, RIP 212 EVO. This motherboard is a bit overkill for this “budget” build but I wanted the build to look as nice as I could. Before anything though, let me just say that I absolutely hate the mainstream red and black in the PC building community. I’m out of luck though because the components I want all align best with this color scheme. It’s nice and simple but I sort of wanted to stand out. Not this time around I guess…Oh yeah and about the motherboard itself, MSI is a great brand with excellent quality control and software support. Has everything I need and a gamer would want. The LPX series from Corsair is just so beautiful. I should’ve went with 16GB to future proof but meh, I can always upgrade RAM in the future. As for the DDR4-2400, I didn’t really have a choice. I couldn’t find red LPX in 2133 but the motherboard will automatically down clock it anyways. I’ve been told that higher RAM speeds help with lower frames but I’m not worried at all. Higher RAM speeds require Z170 chipsets anyways. This SSD is so beautiful. It’s really fast too, boots my computer in about 10 seconds. 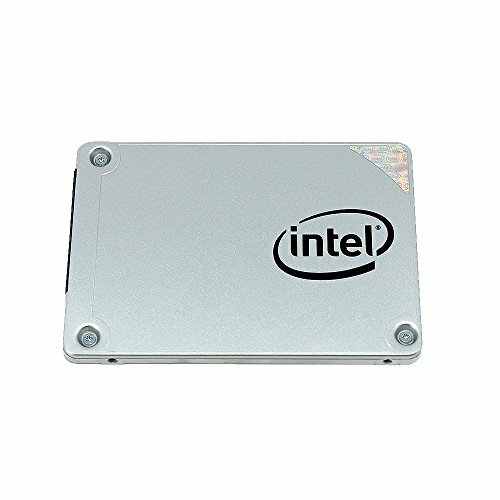 I’ve read on forums about Intel SSD’s not being compatible or some crap like that? It was a plug and play situation for me. The only thing I don’t like about the 540s series is the metallic back of this drive. It looks so sticky and blotted, not sure why? Oh yeah and I got it at Micro Center on sale for 57 bucks! I asked the worker for a 120GB SanDisk drive and he said for a few bucks more I could double the capacity and upgrade to a more reliable brand. +1 to the guy from Micro Center. This hard drive is pretty cheap. The 1Tb version of the P300 is 39.99 at Micro Center and it still runs like a champ in my little brother’s computer. I don’t know why these 7200 RPM 64MB Cache hard drives are so cheap but I’ll update you guys on when they fail or if they ever do! The reason why I got 2TB was because I was hesitant of having to buy a 2nd 1TB down the road for another 40-50 bucks. I am an NZXT S340 enthusiast! I’ve gone through so many cases and I always come back. There are so many competitors and I’ve had em all but I am not pleased one bit! 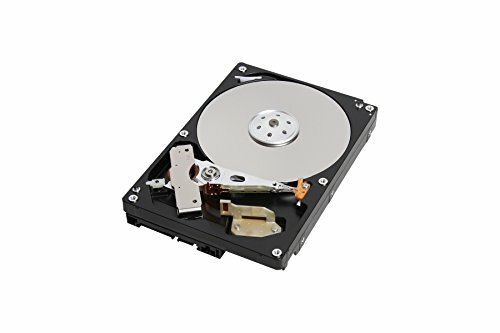 Some had 5.25” drives, others had detachable side panels but this simple S340 still outperforms em all at a reasonable price. Like I stated earlier, I hate the red and black theme but this was the only available model at Micro Center for 64.99 before tax. Things I love about this case: PSU shroud, silent fans supplied, wide viewing window, colorful theme, cable management bar, matte black (so sleek! ), and of course, it’s 65 bucks! Things I hate: window scratches really easily, matte is a finger print magnet and it wasn’t free. I must say though, for first time builders, I really suggest this case. The shroud hides your newbie cable skills and the window lets you see your hard work! 10/10 would buy again just to have a spare. Great build! I do actually have a question: Have you experienced any situations where the CPU bottlenecks the GPU? I've heard that an i5 will bottleneck a 1080 or 1070, and I was wondering if that's been the case with your build? (BTW, I read your description. 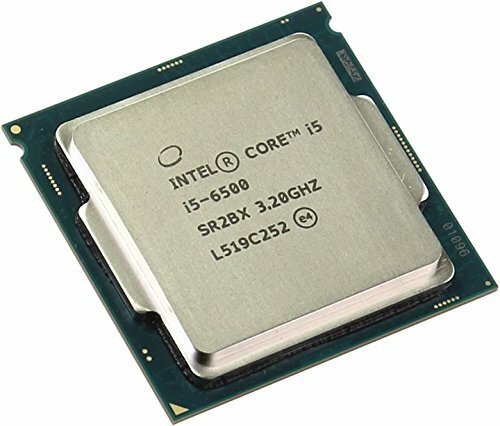 As a fellow i5-6500 user, I'm merely curious as to what this mighty little CPU can do. I also considered the 6600k, so I understand quite how much more the k SKU adds to your price when you factor in the additional base price, the pricier Z170 mobos, and possibly higher clocked RAM.) Also, nice on the Cryorig cooler! I used the C7 to get better temps on my ITX build, and I'm as pleased as you are. The bottlenecks aren't major to me but I would note them as a big enough to annoy performance whores. I'm also currently playing at 1080p but I heard that the bottle necking dies around 2k to 4k resolutions. Lemme guess, you bought the Rosewill building tool kit? Dude, we might be soul twins. Could the prophecy be true?! Do you have to use that thing in picture #2? No, though it is reccomended that you do. Another good way to rod yourself of static electricity is to just touch the metal parts of the case fairly often while building. Well, when you put it on your wrist and attatch it to the case, it brings you to an equal electrical level. So you can't damage parts. But when you don't wear it, you can gain more of a static charge and if you build up enough and touch.a part, you can fry it. But by touching the case, you release your static electricity and are again at the same level as the case, which is onviously a safe level for parts seeing as you put the parts inside the case. Wearing it just makes life that much easier. Even though I constantly ground myself with the power supply plugged in while turned off, I use the strap. I like to be extra careful because I am dealing with products worth quite some money and had an adventure of 7 days shipping. I read a lot of comments about DOA products but I've never had that problem. Might it be because I'm extra cautious? That'll do. I have heard from a lot of people that these newer components aren't as bad as some parts used to be. You honestly get used to it. It should take about an hour at maximum, but be careful not to rush because that's how you drop stuff (Like my FX-6300 on my very first build..). And by the way, great build. You will be fine . Good enough . Very nice cost efficient gaming setup. I like how you managed to squeeze a GTX 1080 into a build of this price range without making any real compromises in other parts except CPU. i5-6500 is a great CPU and I see so many builds with overkill CPU's and weaker GPU's, but with the dawn of DX12 games are bound to utilize more CPU power and upgrading your CPU should be next on your list as your GPU should be more then enough for awhile. Thanks! I also think that this build could use a CPU upgrade. I do plan on going with an i7-6700 down the road and handing down this processor to my brother. As for bottle necking and DX12 games utilizing more CPU, I underestimated it. I lost a mere 2000 points off my of 3D Firestrike score going from an i5-6600k @ stock to an i5-6500. I added a picture of my setup. Not the best angle shots but I think it does justice. Very nice selection of parts, this would be my build. Very nice! I don't think I'd be able to stand those aesthetics though :(. I'm a bit of a 50/50 when it comes to both looks and performance. Thesis level documentation. Your efforts are appreciated. Thanks man! Also, LOL! I had the same picture of me throwing away the stock intel cooler in my "A build for my stepbrother" build! LOL dude, that stock cooler is so garbage. I had it on an i3-6100 and after a few months my i3 was a damn heat ball. I've heard about stock coolers going bad after long usage too. You should still keep it, though. Never know when you need an emergency HSF. Or heck, eBay it for $10. Epic build for the non-OCing gamer, im liking it all around. How dare you peel that plastic off!!! Jk, great build! Unless it was an aesthetic decision, you could've gotten away with just the stock cooler, since it's a locked processor. Yeah it was an aesthetic decision and I wanted a quiet computer. Not going to lie though, didn't expect a comment on such an old build hehe. Thanks for your input. Great set-up. Very well done! i'd recommend just putting a line the size of a grain of rice or a dot the size of a pea in the center, without spreading it. If you install the cooler correctly, it spreads by itself because of the pressure it applies. Agreed, I think that this is the perfect 1080p card too. I'm going to get a 144Hz monitor and enjoy the buttery smoothness..